The accommodation for this escorted bus tour is set and below you can find details on the four hotels where you will be spending your over nights. Location The Limerick Strand Hotel is superbly located on the banks of the magnificent River Shannon a 15 minute drive from Shannon International airport, the city centre is within a 2 minute walk. Within 5 minutes walk are famous historic attractions such as King Johns Castle, Hunt Museum and St Mary’s Cathedral. For rugby fans, the legendary Thomond park is within a 10 minute walk. Within 15 minutes of the hotel are Bunratty Castle and Folk Park and within 60 is an array or world-class golf courses, the Burren and Cliffs of Moher. 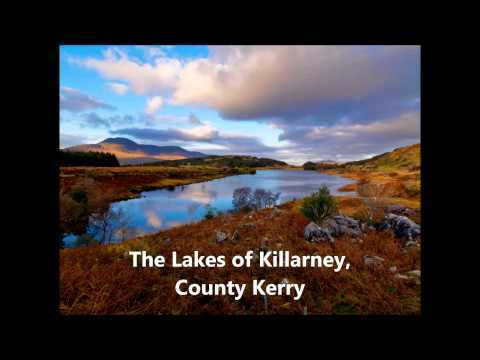 Hotels in Killarney, Ireland don't come much better than The Brehon Killarney for luxurious accommodation and great deals. Killarney's National Park provides a magnificent setting for The Brehon and our award-winning Danú Restaurant and Brehon bar offer a dining experience with a difference. The Royal Marine Hotel in Dun Laoghaire is an historic and much-loved luxury landmark hotel, dating back to 1828, located in a prime South Dublin position overlooking Dublin Bay. Its unique location, close to Dublin City Centre and Dun Laoghaire ferry port, but also within easy reach of County Wicklow, The Garden of Ireland, makes The Royal Marine Hotel an ideal accommodation choice.